In 2010, a tasking was issued by the Commander, 12 Wing to create a commemorative book “…light on text and long on pictures…” in time for the Sea King 50th Anniversary in 2013. In the event, this proved to be too onerous and expensive a task and so the decision was made to produce two books; one a ‘dry, boring history’ to be prepared for the 50th Anniversary and the other a coffee-table book to be published for the retirement of the Sea King. As can be imagined, there are many hero shots of the Sea King in various locations performing a variety of missions around the world and this volume contains only a representative selection. For all those who are disappointed that their favourite Sea King picture doesn’t appear, we beg their indulgence. The narrative and photographs in the first half of the book generally follow a chronological sequence while the latter half of the book contains a number of sections that are linked thematically. Fleet Introduction: 1963 – 1969. The Fleet Introduction period began with delivery of the first Sea King in 1963 and ended with the delivery of the last aircraft in 1969. It also coincided with the ‘clearance for service use’ of the Beartrap system in the navy’s destroyer-escorts. That this took place at the same time as the unification of the three services and the paying off of HMCS Bonaventure was an unfortunate accident of timing. The DDH Years: 1970 – 1990. These were the years of the Cold War when all efforts were focussed on anti-submarine warfare. In contrast to the years following 1990, there was a predictability to the cycle of activity during this period that was only occasionally disrupted by short, fleet-wide unserviceabilities experienced by the Sea King, and, on occasion, by HMC Ships. OP FRICTION and beyond: 1990 – 2018. The invasion of Kuwait on 2 August 1990 launched a sea change in the Sea King story. Recast as a surveillance platform in a brief two-week period, the Sea King, with its inherent flexibility and dedicated maintenance personnel, entered a new era that continues to this day. A stream of overseas operations, often in harm’s way, has followed and in several cases, the Sea King was the first Canadian combat aircraft in theatre. This, combined with a host of domestic operations and the transition to a new maritime helicopter, has meant that there has been very little slack for the Sea King community for a long time. 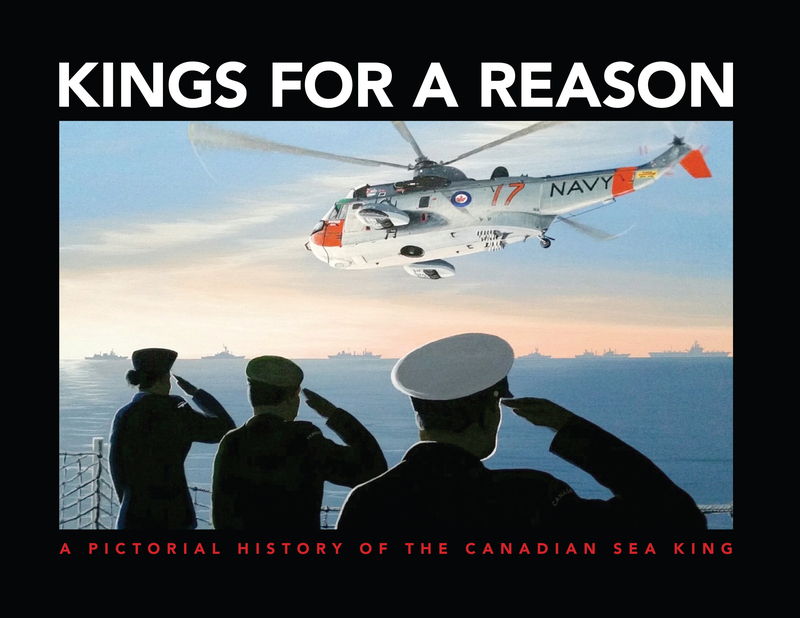 To all those who have touched or been touched by the Sea King, we hope that this book kindles fond memories. And to those that fly the Cyclone, Canada’s new maritime helicopter, best wishes for the future and always remember that for many decades, it was a great time to fly Sea Kings!